Have you ever experienced something surreal? Recently, I had reason to visit and work at Abbey Road Studio in London, and it still seems surreal!! My colleague Jayson Tomlin, Gary Katz (producer of Steely Dan), and myself were there to do testing and evaluation of some new technologies we’ve been working on for broadcast and consumer applications. Warrick Marais is the new in-house Broadcast Engineer specializing in audio processing with our friends at New Zealand-based AVC Group, a major Telos Alliance dealer across the South Pacific, India, the Middle East, and beyond. Warrick’s background runs the gamut of audio, from audio production in the pro audio arena and film, to audio processing for radio and television, to live performance audio. So when AVC was looking for someone with a high level of expertise in the realm of audio, the range of experience Warrick brings to the table–not to mention his familiarity with AVC from past work–made him the ideal choice. We sat down with Warrick recently for some insight into his wide-ranging career, and his thoughts on the different aspects of working in the audio industry. Meet Tom Nielsen: Studio Geek and Proud of it! It hasn't quite been two years since Minnetonka Audio joined the Telos Alliance, but in that time we've come to learn that our colleagues in the Land of 10,000 Lakes really have a passion for audio, and the term "audio geek" or "studio geek" are taken as compliments. This holds true for the most recent addition to the Minnetonka team as well, Technical Support Representative Tom Nielsen. We sat down with Tom find out what makes the newest on-staff audiofile tick. When you work with a bunch of really smart guys, you tend to forget sometimes just how respected they are.And then, you get a little reminder -- like this one. Voice Actor Barry Zate writes: “I am a user of the Telos Xstream. I love it. But [my ISP] is working hard at ditching ISDN [and] I am paying $360 a month. I am wondering if Telos has talked with [ISPs] about ISDN… I am wondering if they could offer ISDN to save the service. As engineers exchange the world of single- and two-pair shielded cable for CAT5/6, finding a simpler way to interconnect non-networked gear becomes more important. Of course, you can buy adaptor cables pre-made, but what do you do with the excess cable? 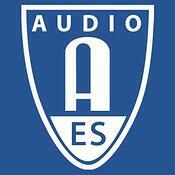 The AES67 standard published in September is the first audio engineering standard to address interoperability. But why is it important? And what does it say? AES67 is important because for years, the industry wanted a standard to address interoperability, and now, it has one. The emphasis on interoperability is important as it’s been a longstanding concern of audio engineering professionals as new technologies continue to develop. As the “Voice of NASCAR,” the Motor Racing Network (MRN) is the principal radio broadcasting operation of the National Association for Stock Car Auto Racing. They’ve got more than a few victory laps in their record books: Since MRN’s first broadcast – the 1970 Daytona 500 – they’ve aired hundreds, if not thousands of races. And not just the premiere events of the NASCAR Sprint Cup Series - but the NASCAR Nationwide Series and NASCAR Camping World Truck Series races as well. Doug Watson is the Chief Engineer for MRN, and he and his crew make the technical end of the broadcasts happen. Up until last year, MRN used two large trailers and one smaller trailer with analog equipment, but Doug decided it was time to modernize the operations. Join us for a fascinating discussion on voice over tips with Audio Engineer George Whittam.